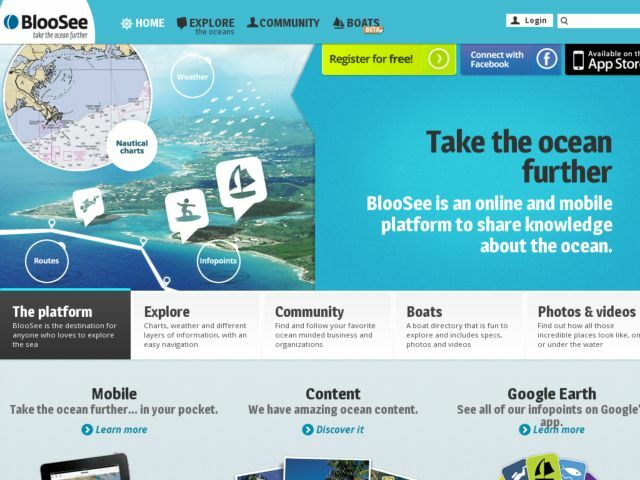 BlooSee is a cloud-based platform to organize the information for the ocean and bring all of the relevant communities in that space (maritime businesses, recreational users, environmental organizations, institutions, and individuals) together. Our platform aggregates official information, user-generated content, and dynamic data. It also adds a social aspect to locations on the ocean, where information can be easily shared on other social platforms (FB, Twitter...), integrated on third party websites, etc.